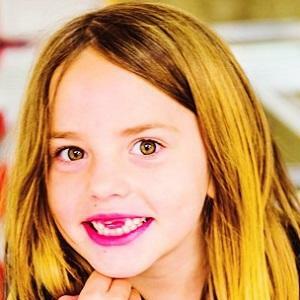 Better known as Babytard of the internet famous Shaytards family, she was the youngest child of the family when her father Shay Carl first started the Shaytard channel. She was at first very shy on camera but was able to move past that. She was featured on the cover of the James Blunt album Some Kind of Trouble. She is the daughter of Shay Carl and Colette Butler and has siblings named Gavin, Avia, Brock, and Daxton. The Shaytards have been interviewed by such talk show hosts as Anderson Cooper and Ellen DeGeneres.